Named after the Latin centum herbora and made in Central Italy since the cows came home, this emerald green elixir is made of wild herbs collected in the Apennines, notably on the slopes of the Gran Sasso and Monte Morrone. They are dried in a special way, then infused with alcohol for two to four months before bottling. 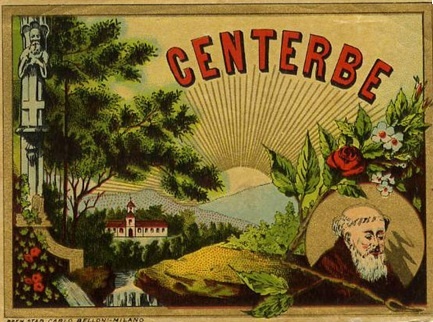 Centerbe has long been renowned for its medicinal and antiseptic qualities (during a 19th-century cholera epidemic in Naples, they couldn't get enough), as well as for its good work as a digestivo. It's also used as an herby flavouring for both sweet and savoury dishes. drinking this precious emerald liquid we come into contact with the big mountain, with the massif of noble rocks and shining frost which protects the heart of Italy…it is a vehement lymph with a very well defined aroma which gives life to a storm in your mouth and gets into your heart…A member of the Italian Alpine troops drank a whole flaskful of this centerbe and he tumbled down remaining drunk for two days; when he recovered consciousness he killed a mule with a punch.